University Of Iowa Press, 9781609383954, 240pp. In 2010, while editing a report on the effects of climate change in Iowa, ecologist Cornelia Mutel came to grips with the magnitude and urgency of the problem. She already knew the basics: greenhouse gas emissions and global average temperatures are rising on a trajectory that could, within decades, propel us beyond far-reaching, irreversible atmospheric changes; the results could devastate the environment that enables humans to thrive. The more details she learned, the more she felt compelled to address this emerging crisis. The result is this book, an artful weaving together of the science behind rising temperatures, tumultuous weather events, and a lifetime devoted to the natural world. Climate change isn’t just about melting Arctic ice and starving polar bears. It’s weakening the web of life in our own backyards. 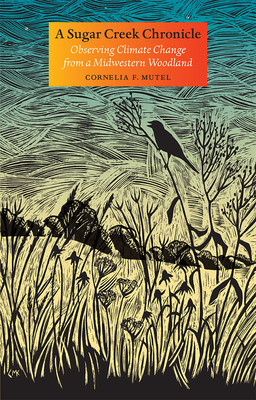 Ecologist Cornelia F. Mutel is the author of Fragile Giants: A Natural History of the Loess Hills (Iowa, 1989) and The Emerald Horizon: The History of Nature in Iowa (Iowa, 2008) and the editor of A Watershed Year: Anatomy of the Iowa Floods of 2008 (Iowa, 2010), among many other books. She is senior science writer at IIHR–Hydroscience & Engineering at the University of Iowa College of Engineering. She lives in rural Iowa City, Iowa.